Perth Clinical Psychologists offers specialist clinical psychology services in Applecross, Western Australia, for children, adolescents, adults, couples and families. At Perth Clinical Psychologists, we aim to restore our clients’ health and wellbeing in a nurturing and safe environment by developing their self-awareness and resilience to cope with life’s challenges and achieve their full potential. We are committed to excellence and evidence-based, innovative approaches in counselling and clinical psychology. We are open to adapting our methods to work effectively with diverse client groups to achieve enduring outcomes that build upon clients’ strengths and their family and community relationships. 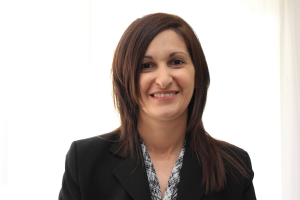 Our team is led by founding Director and Principal Clinical Psychologist, Dr Mimma Nikoloski. You can read more about Dr Nikoloski below. Dr Nikoloski is an experienced Clinical Psychologist who works with children, adolescents, adults and families. She works full-time providing clinical psychology services as the Director of Perth Clinical Psychologists. Dr Nikoloski is experienced in the assessment and treatment of individuals of all ages for psychological problems such as anxiety, depression, intellectual disabilities, autism spectrum disorder, psychotic disorders, personality disorders, cultural issues, infertility and reproductive issues, relationships issues (parent-child, couples and families) and trauma issues. Dr Nikoloski is an APS Autism and PDD Identified Practitioner and conducts Autism Spectrum Disorder Diagnostic assessments for children, adolescents and adults. She also conducts complex cognitive and educational assessments. Dr Nikoloski has extensive experience working in a range of psychology and therapy environments with strong Cognitive Behavioural Therapy, Schema-Focused Cognitive Therapy, Cross-Cultural Therapy, Interpersonal Therapy, Sensorimotor Psychotherapy, Narrative Therapy, Anger Management Therapy, Dialectical Behaviour Therapy, Acceptance and Commitment Therapy, Couples Therapy and Family Therapy skills. Dr Nikoloski is also a recognised provider of Circle of Security International Parent training, which is based upon early intervention for parents and children who present with attachment or relationship issues. Dr Nikoloski’s PhD investigated the cultural competence of non-Aboriginal counsellors (psychologists and social workers) working with Aboriginal clients within government departments of health, education, community development and justice in Perth, Western Australia. Dr Nikoloski shares her expertise in this area by providing training to non-Aboriginal counsellors regarding cultural competence and its implications for Aboriginal mental health service delivery. She uses her expertise in this area to provide professional supervision to non-Aboriginal psychologists and social workers who work with Aboriginal clients within the public and private mental health sectors. Our team at Perth Clinical Psychologists looks forward to working with you. Contact us today on 0411 464 064.